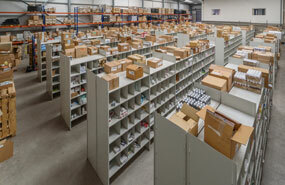 “These are very exciting times for Crosspharma, as we all look forward to the opening of our new depot. The extra space in the new facility will immediately add further improvements to the service we can offer our customers; by enabling us to substantially increase the number of lines we can deliver ex-stock. The whole of the Crosspharma team would like to thank all our customers for their continued support over the years. We look forward to working with you all in the future, as we continue to develop and improve our service offering”.